• Open Solid PDF Tools and click "Scan to Word". • Select the "Scanning" options that are most suitable for your paper document. 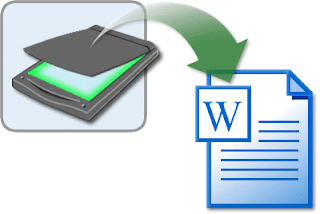 • Set your "Output" options to Save, or Save and Open to open in Microsoft® Word. • Click the "Scan to Word" button to start the scanning process. • Preview your document and save. Your Word document will open in Microsoft Word with all of it's original formatting and ready to edit. The best candidate documents to scan back into Word are business documents that originated in Word in the first place – documents created by more complex Desktop Publishing products or that have lots of images are at the mercy of the limitations of Microsoft Word.